To start off, these are my own little opinions, but that in no way means that these products aren’t great on you. First off, I just need to ask, have you ever purchased a whole makeup collection for one or two items? Well, that’s exactly what happened with Mac’s 2014 Objects of Affection Mini Lip Gloss Kit (Holiday Collection). It came with 4 glosses, but I will discuss the 3 that I was really disappointed with. 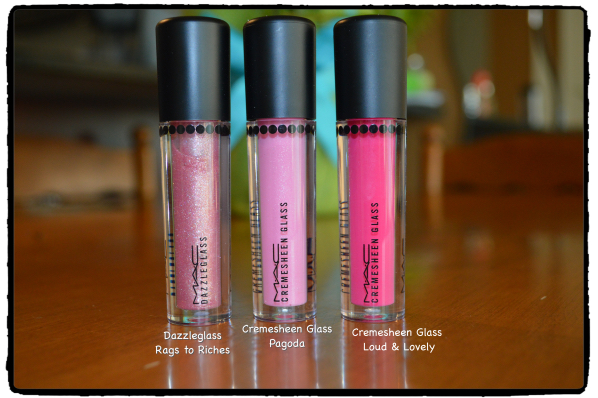 I don’t know if it’s just me but these glosses are so darn sticky! I really don’t understand why they are formulated this way, it makes them feel uncomfortable on my lips. They also feel extremely thick, I tried adding one coat and immediately just felt like it was too much and had to take it right off. At first I was really excited about the Cremesheen Glass in Loud & Lovely because of the raspberry red colour that I so wanted to rock over the winter months, but sadly the colour payoff is just not there on the lips. At first you get this strong colour, but literally after about 20 mins it starts to wear away. I thought the Cremesheen Glass in Pagoda would be a nice light pink when the weather transitioned to spring/summer but it only comes on clear and not the baby pink colour that you see in the bottle which is so disappointing. 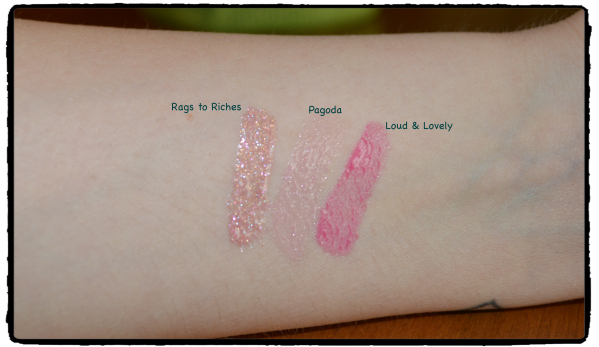 Lastly, the Dazzleglass in Rags to Riches is just way toooooooo sparkly!!! I mean it looks so nice on my lips, until I see sparkle on my chin, then somehow my cheeks, it’s just too messy for me. It’s just a shame because I had such high hopes for these and thought about how nice they would look all year round. Between the feel and wear they just don’t cut it. I’ll stick to MAC lipsticks, those are money well spent. What about you? 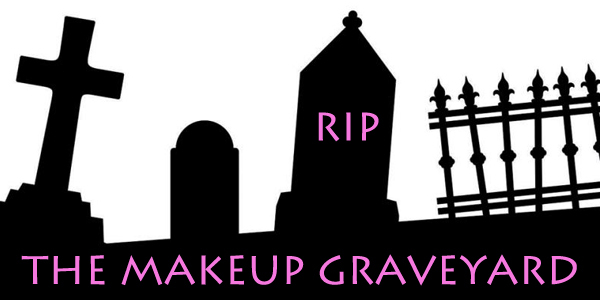 What lip product do you regret purchasing? Remember to also check out Cat’s post at MyLipAddiction.com and see her list!